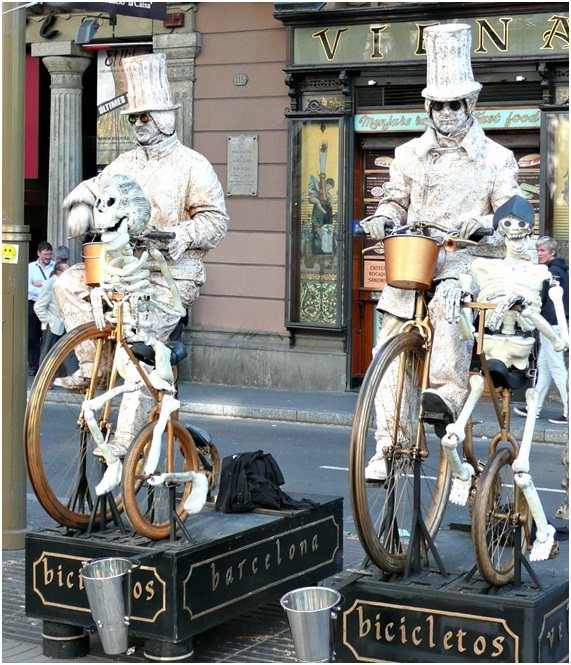 Barcelona is packed with enough things to see and do to keep visitors happy for weeks on end. But paying for entry fees into must-see attractions, meals out at the best tapas bars and rooms in well-located city hotels can quickly add up – especially if you’re travelling as a family. Fortunately, not everything in Barcelona comes with a big price tag – there are plenty of cheap and even free things to do in the city if you know where to look. If you’re planning a budget family holiday to the Catalan capital, check out these four things to do in Barcelona the whole family will love. We wish you a lovely stay at our hotel for family in Barcelona. Walking along a street might not sound overly exciting, but Las Ramblas isn’t just any old street. This iconic pedestrian road is lined with shops, cafes, historical buildings, sculptures and street performers, giving you something new and exciting to look at with every step! You can spend absolutely nothing strolling along the 1km street or hand over a couple of euros in exchange for some delicious tapas, a souvenir of your visit or a tip for one of the performers. A day at the beach is one of the easiest (and cheapest!) 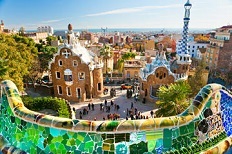 ways to keep everyone in the family happy and thankfully Barcelona has plenty of sandy golden stretches to choose from. 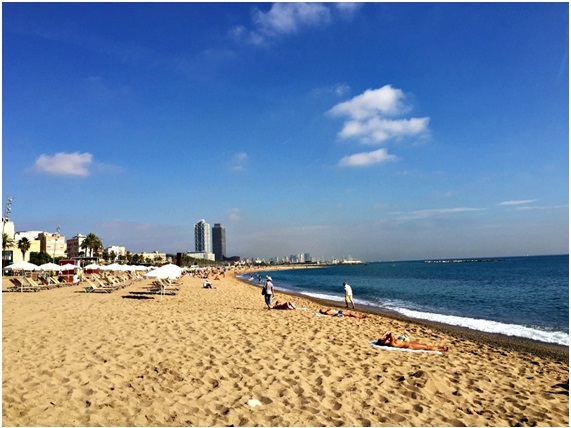 Barceloneta is the most popular beach where you’ll find sand artists, food vendors and beach games. For something more serene, try the quieter Caldetes or Ocata beaches which are located just outside Barcelona. Another family favourite – an afternoon at the park. 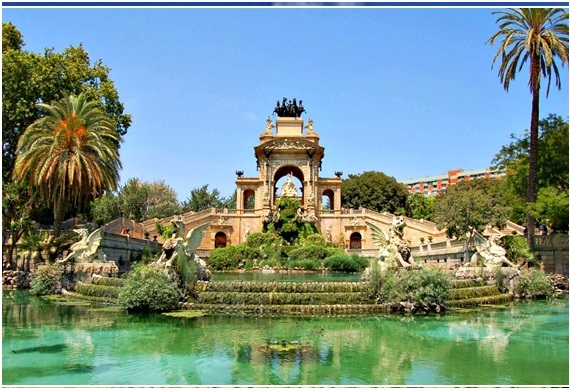 Parc de la Ciutadella is totally free to enter and is home to plenty of wide open grassy spaces for children to play and families to enjoy a leisurely picnic, as well as fountains and sculptures which provide plenty of photo opportunities. There’s also a large pond with rowing boats available to rent for a small price. These days not many shows are free, but the Font Màgica show is an exception you won’t want to miss. 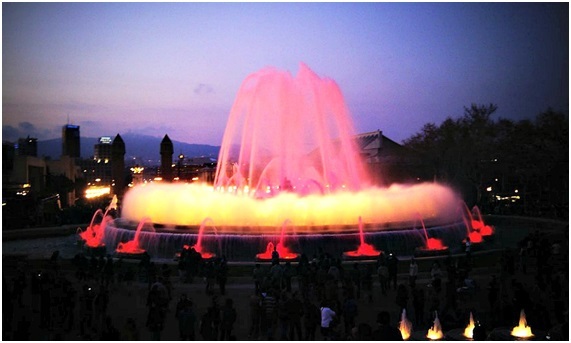 This 15-minute spectacular takes place several times every evening at the fountain along Avinguda de la Reina Maria Cristina and is a real treat for the senses, combining colourful lights, dancing water jets and dramatic music to create a lively, memorable show for everyone to enjoy. Enjoy your stay in our familial aparthotel in Sarrià!